My fabulously intriguing and foodie friend, Melissa Sargent Minor of L & J Sweet Stuff family producers of VT Pure Maple Syrup & Maple Cream invited me to a Boil today at their Sugar House. So excited, I re-arranged my plans, gathered my interview supplies and hit the road into the mountains! On my 15 mile ride along the valley in Fairfield and Fletcher, I noticed all of the sugar houses dotting the way had puffs of sweet smoke rising through the hillside. Pulling up before a Sugar House during a “Boil”, one will have an incredible tantalizing experience for the senses. The smell is so fragrant with Maple and sweetness; it makes all other known sweet smells bitter. Boiling was in the air and I felt the plumes beckon me into the Sugar House. Melissa and her husband Shad Minor, have 12 actively tapped acres. They maintain 4,000 tapped pipelines, between their property and sap they buy from locals, using plastic tubing and tree healthy taps (to minimize damage and stress to their beloved Maple trees). During my visit, Melissa’s exuberance, enthusiasm and pride in their VT Pure Maple Syrup operation was infectious! Anticipation on my palate was tuned to the high vibration frequency of the boiling sap. The cultural experience during a run is fascinating. Sugaring neighbors check in on one another’s boil, to see how it is going and compare this harvest’s processing experiences. In fact, Melissa spent the day before preparing treats for the boil. The night before, she made batter for a Vermont old time Sugaring favorite; and in the morning began by making 80, Buttermilk Donuts and 200 Buttermilk Donut Holes. Their creation to act as a soaking vessel for the still warm VT Pure Maple Syrup; ideal for visiting friends and neighbors to feast in celebration of this year’s harvest together! This very morning she put up a Maple Venison Chili in the crockpot, so in the wee hours of tomorrow morning when the boiling is temporarily over, the family will fill their bellies and wander off for a well-deserved sleep. Melissa shared her recipe with me, look for the upcoming Kitchen Wisdom Gluten Free Maple Venison Chili post. Vermont has seen a post-recession Maple Syrup market explosion. VT Pure Maple Syrup big players are large distributors who have their own maple trees, in addition to leasing tracts of maple and purchasing wholesale sap from local farmers. For large producers like Jr Sloan and Rick Mayotte, the 2017 maple season will see approximately one half million gallons of raw sap transported on our local Franklin County VT mountain roads off to boil. L & J Sweet Stuff has one section of Maple trees on a gravity fed line between their property and sap they buy from locals, and the rest travels to a pump house. Syrup then runs from the pump house tanks and the gravity fed line to reverse osmosis, which removes as much water possible (which allows a safe and good boil). With the water removed, the sap then moves on to concentrate. It then moves along to a final holding tank to await boiling. It takes 40 gallons of raw maple sap to yield one gallon VT Pure Maple Syrup; and approximately 9 gallons of processed sap to make a gallon of syrup – higher sugar concentrate. They make approximately 40 gallons in an hour of “firing” the “rig” (Evaporator). They have held steady at this rate so far this season. The syrup then exits into a tank where, at about 217 degrees, diatomaceous earth is added and thoroughly combined. This addition cleans out naturally occurring impurities, the density of which must be checked frequently with a hydrometer. The syrup then moves onto its final filtration process and into storage barrels. Each barrel immediately gets two samples drawn, one is sent to the buyer (their wholesaler Butternut Mountain), and the other sample is reserved for them. The barrels are hot packed with appropriate seals and stored in this manner; VT Pure Maple Syrup can last up to two years. Once opened, all VT Pure Maple Syrup must be stored in refrigerated cold to avoid spoilage. One of the Minor’s visiting friends, Jen Merritt of Stony hill Sugar House, shared some of her wisdom about weather and a “good run”. Jen spoke to me about the weather conditions necessary to make the sap “run”. Maple sap running is dependent upon the coldness of winter , the length of and temperature of the cold at night and Vermont spring like daytime temperatures around 45 degrees. How many days this delicate balance needs to be in place depends upon the kind of winter we are having. Usually the ground at the base of the Maple trees gets a gradual melt with gradual warmer days. This year’s Maple Run got a quick and rough start; winter was stripped in a second and thrown into spring. Either way you know its time when you see the lines engorged with moving sap. Maple sap is unstable for storage at temperature of 65 degrees or greater. So it needs to be handled immediately. Melissa commented that all Sugaring families are on Mother Nature’s schedule. Imagine taking on a sap run in the middle of your everyday life? When a good run starts, one must stop everything and proceed to boiling in the sugar house. This can occur 24/7, being at the disposal of the variation of temperature, regardless of your regular job and home responsibilities. For example, they will boil into the wee hours of the morning. But tomorrow will be cold again and sap stops movement. It was explained to me that there can be a day or two or more for a run, then the cold returns. The sap run floats on and off a few or more days at a time, lasting as long as six weeks. For example, the 2016 run lasted from February 20 through April 18. Is the return worth all the effort? The pride in the faces of the wonderful folks I met today indicates that it is indeed worth all of the effort. What will the 2017 return be? Apparently, 2016 saw a surplus of VT Pure Maple Syrup hit the market, with supply up, it is likely to fetch a bit of a lower price per gallon than previous years, 2016 price per gallon sold for approximately $80 retail! So what did old timer Vermonters do to celebrate some of that first boiled sap run? Jen of Stonyhill Sugar House shared what her family does every year. She makes a 9 x 13 sheet of baking soda biscuits and pours a wopping one quart of warm VT Pure Maple Syrup evenly over the entire tray! She said its best to let the biscuits get gooey and serve them warm with vanilla ice cream. Let me tell you a bit of my flavor experience with fresh hot L & J Sweet Stuff VT Pure Maple Syrup. When boiled, the syrup in its hot liquid state is completely fluid. Once it is bottled it develops into a thick syrup. The sweet essence which sits on the palate after a sip of freshly boiled VT Pure Maple Syrup, is warm, velvety and sweet; but not overly sweet. It is followed by the distinct flavor of maple, in this new state the maple flavor is delicate yet obvious. Upon losing a few drops to the floor while assuring the syrup into the barrel, I heard someone exclaim “Oh No…I wasted a little!” Perfectly illustrating the love and adoration Vermonters in general express about their beloved VT Pure Maple Syrup. Melissa says, the best way to serve pancakes is to warm the syrup in the microwave or butter warmer, then poured on your breakfast it will create a morning experience like no other. 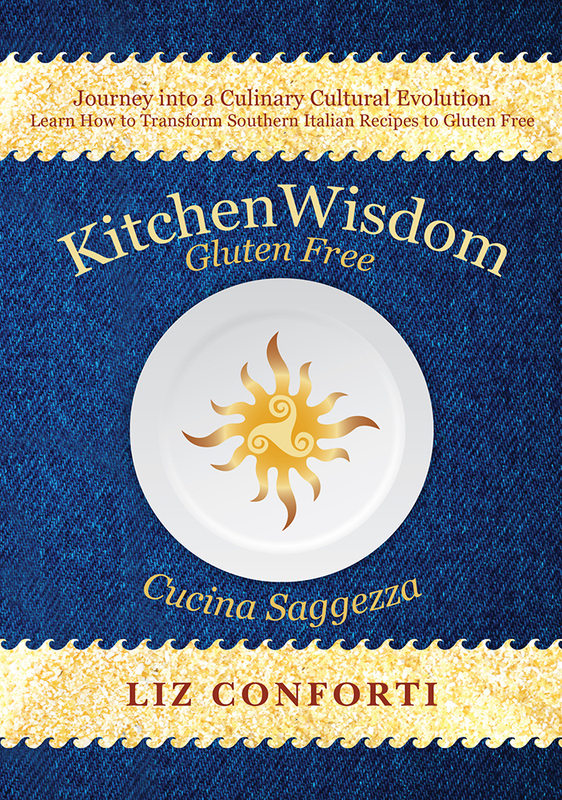 Click here for Kitchen Wisdom Gluten Free Ricotta Pancakes. Thank you Melissa and Shad Minor at L & J Sweet Stuff for allowing me to participate in the start of this year’s Maple Run. May you prosper and enjoy all of the sweetness the beloved Maple has to offer. Check back for Maple Boiling updates on Kitchen Wisdom Gluten Free. This entry was posted on March 3, 2017 by kitchenwisdom2013 in cow on a cliff, forget what you know about wheat, kitchen wisdom gluten free, L & J Sweet Stuff, sugaring family, Uncategorized, vermont food chronicles, VT Pure Maple Syrup and tagged 2017, cream, interview, L & J, L&J, makers, maple, pure, run, season, Stuff, Sugar, sugaring, sweet, syrup, VT.